Maleficent will be making her long awaited return to Disney’s Festival of Fantasy parade today at the Magic Kingdom today. The tall steampunk-inspired dragon has been missing from the parade since it caught fire on May 11, 2018. 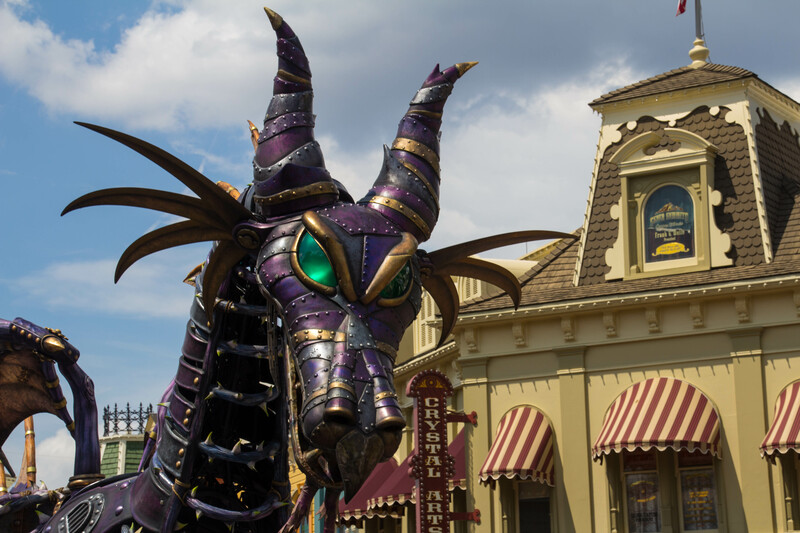 While she still has her same Steampunk style and signature wicked smile, the Maleficent dragon will be sporting a refreshed look, but includes enhanced safety features for the flame effects. Also returning to the parade are Prince Phillip; the Fairies Flora, Fauna and Merryweather; and the mischievous “Ravens” who fly around Maleficent. I don’t know about you but the parade hasn’t been the same since the unfortunate accident that removed her from the parade. I cannot wait to see her again in all her glory.